Create a splash at your next formal event with a Tacky Tux party shirt. Looks like a regular tux till the party starts and the jackets come off. Our shirts are perfect for grooms and groomsmen, fraternity formals, proms, military mess dress, and the hospitality industry. Need it fast? Check out our $69.95 and up specials. Your shirt can be at your door in 3 to 5 businessdays if you choose the express shipping option! Express shipping only for $69.95 category or email / call to check availability. If you are not sure of style of shirt please look at the 'shirt types / sizing' category. Military please check your regs or look under your branch in our 'military' category. Can't find what your looking for? 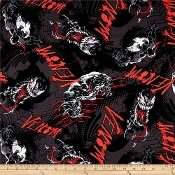 Send us a link or image of a fabric you want and we will post it in our 'customer request' category so you can order. You can also email us or call and tell us what you want and we will source it for you. 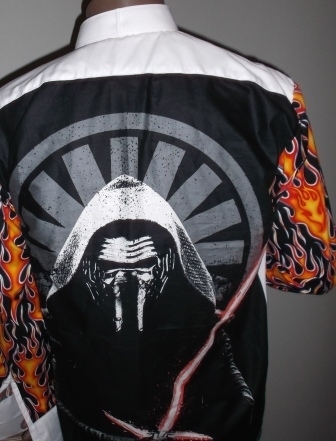 Tacky Tux is not a direct licensee of any of the logoed fabric that we show on our site. We purchase these fabrics when requested through supplers / manufactures which do have the licensing rights to print these fabrics. We do not want to mislead any of our customers into thinking that the end resulting product made per their instructions are licensed products. Some of the materials used in the finished product may be licensed fabric.